This essay examines the relationships of three contemporary currents of global human dynamics, namely, democracy, corruption and globalization. The interest in their study arises from the fact that they are assumed to be the major factors which could make or break attempts for bringing greater prosperity and happiness to the greatest number of human beings. As pointers for our discussion let us take the Warsaw Community of Democracies Conference of June 2000, for democracy; The OECD Convention on Combating Bribery of Foreign Public Officials in International Business Transactions of May 1997, which entered into force in February 2000, for corruption; and, The WTO Seattle Conference of November 1999, for globalization. Of course, these events were not initial points of departure for launching the ideas under consideration. Without extending it to prehistory, we could trace the Warsaw Democracy Conference to the Helsinki Conference for Security and Cooperation in Europe of 1977 which, one could argue, began the erosion of the Soviet regime when the latter acquiesced to let some Western ideas of democracy go unpunished within its domains. For fighting corruption in recent times, the passing of the U.S. Foreign Corrupt Practices Act of 1977 was a groundbreaking event which gave an international dimension to the idea. For globalization, WTO can be directly traced back to GATT. But the popular challenge of “the battle in Seattle” to WTO negotiations to develop legal and political norms for globalization, which had in fact long overflowed the confines of traditional nation-state sovereignties, was a watershed. It brought globalization to public consciousness on par with democracy and corruption. Against tens of millions of dollars of contributions to the Democratic Party and President Clinton’s election campaign, Carl Lindner, the CEO of Chiquita Brands International Inc., made the Clinton Administration impose sanctions on European imports because of the European Union’s preferential quotas for the importation of bananas from the EU associate member countries. The Clinton Administration proceded to impose import restrictions on some European goods in retaliation. It made sure, however, not to slap tariffs on important luxury items imported by powerful Americans lobbies such as Mercedes Benz cars or fine wines, but on items which did not have influential importers in the U.S. – like bath oils and soap, Roquefort cheese, coffee-makers, plastic bags, uncoated felt paper and bed lining Some European goods which escaped sanction because of powerful importers lobbying were dolls, chandeliers and ball-point pens which were originally on the list of products to be sanctioned. We have here a mild intertwining of flaws of democracy, corruption and globalization. In the last analysis, democracy is one of the methods for the legitimization of power into authority. Its choreography changes according to the political culture within which it is applied. The case of Chiquita was broadly reported in such media as Time Magazine. While it may have incensed some, the overall public reaction to it may be summed up in: “So! What else is new? !” The distribution of the spoils after an election is well established and accepted American political behavior. Generous contributors to a successful candidate receive ambassadorships for which they are hardly qualified. In other western cultures democracy does not always guarantee accountability and transparency in terms of the use of public funds and their possible misuse. For example, the budgets of some European governments such as the British and French include secret funds which are not transparent at all and political authorities can dip into at their own discretion, notably for corrupting others. The British and French democracies have evolved from monarchical regimes which had inculcated into the people the idea that the authorities were entitled to certain perks and that how they spent certain funds was none of the peoples’ business. Going farther back into European history we find that the feudal princes’ position of authority entitled them to collect tributes (for “services” provided: maintaining law and order, rendering justice – because they had the means to implement “the laws of the land” and their own verdict – and protect their “subjects” against other feudal princes – who coveted their domain). And they passed part of the tributes to the king. Were the extortions of the prince different, in socio-psychological terms, from payment to the modern-day official who issues a permit to cut through the red tape and accelerate an operation? Indeed, in some political cultures the official may be “entitled” to a fee for an operation which is his duty. While the definition of corruption may look clear-cut, categorization of official behaviors falling under it is a harder task. There are factors such as favor, compromise or trust which may not always squarely fit the label of corrupt behavior. The question cannot always be reduced to whether there is direct personal gain. It is not easy to reduce the definition of corruption simply to cases when the person holding the authority to exercise and implement a certain social rule does not follow the procedure set for the implementation of that rule. An authority may let exogenous conditions and circumstances influence his decision in the application of a rule and yet have no personal gain in the process. A “favor” may be a “compromise”. The compromise may or may not be a “give and take” proposition. It is obviously the corruption of the law when a contract is given to someone who is “trusted” despite the fact that someone else has presented a better tender offer. But then, in given political cultures and circumstances, in the application of the law other factors are taken into account. Otherwise we get rigid and dry states of affairs whose wheels may not move smoothly because of lack of other human and social considerations. Take the case of a magistrate who “corrupts” a rule which no longer rhymes with the social evolution by not implementing it and letting it fall in “desuetudo”. For example, when a society has evolved to accept libertine and promiscuous sexual behavior, a magistrate who does not prosecute homosexuality despite the fact that it is on the books as an offense corrupts the law to make it fall into disuse and prepares the grounds for new rules which may better reflect the ongoing moral standards of the society. But let us not beat around the bush. We can identify a core for corruption. The magistrate who because of nepotism or bribe overlooks a rule which is effectively corresponding to social needs is corrupt and weakens the social structure. We said trustworthiness might be a factor. But how do we define trustworthiness? Do we trust because the person has solid credentials and is an upright member of our society, or because he is a member of our club, party, tribe or family? When an administrator lets someone charge the government more than the reasonable market rate because of acquaintance, friendship or ulterior benefits we get squarely into the domain of corruption. Corruption is not only bribe and stealing from public funds. It is also favoring private interests to the detriment of public welfare, using the official public position of authority for gaining private power. It is used by those who are in positions of authority to amass wealth and it is sometimes more and sometimes less tolerated in different political cultures. And, depending on how it is defined, it may well be built into the fabric of a political culture. Corruption is considered undesirable because it causes inefficient distribution of wealth at the expense of common good and social development. - Corruption may be a means for adjusting uneven distribution of wealth – especially between the income of civil servants stuck in archaic bureaucracies and those active in the private sector. Even in documents dealing with combating corruption, “grease” is tolerated to make the bureaucratic wheels turn faster. The official who issues licenses and takes a bribe to accelerate the operation may be doing so to supplement his meager salary. In some cultures that is recognized as “income supplementing the salary”. It is a way of getting paid for one’s better services. The official is, obviously, advantaging people who have the money and the wherewithal to pay. Corruption is submitted to by those who have to appeal to that authority and have the means to grease it. The others will have to wait. - As the first motivation for corruption I should have, of course, listed greed and envy. But I listed sustenance first in order to absolve the millions of policemen, customs inspectors and bureaucrats in different political systems around the world that cannot make ends meet. While greed and envy may have a genetic base – some are greedier and more envious than others – what is more pertinent to our concern here are the social factors which besides sustenance incite corruption. - As possible measurement for individual and social variables distinguishing between sustenance and corruption I would like to introduce here the notions of need and want: Needs are essentials for survival, such as food, clothing and shelter. They are relative and depend on cultures and the environment. The Eskimos have different shelter needs than the Touareqs. Some cultures consider healthcare, transportation and communication as essential needs. The fact that two thirds of humanity lives on two dollars a day, however, would suggest that the level at which needs are globally met is much more modest. Wants relate to items whose absence is not life threatening. They too are relative. Sao Paolo businessmen need helicopters to travel between their offices and their residential compounds to reduce the danger of being kidnapped. Wants are social phenomena such as the want of a Rolex watch (a real Rolex, not just any watch) or a sports car. Wants can create greater potentials for greed and envy which, for the purposes of our study of corruption, can be translated in the general term of temptation. - Temptations can be caused by the perception of inequalities and accessible opulence. In a stagnant traditional culture with an established cast system temptations are controlled by the class system. They don’t fuel inter-class corrupt aspirations. The peasant may dream but does not amass wealth to build a castle. In the traditional setting corruption remains systemic, as in the case of feudality mentioned earlier, whether in Europe, China or elsewhere. When due to “revolutions” and “innovations” the social order is challenged, social upheavals may make inequalities questionable and tempt some to seek accessible opulence – the bourgeois will build himself a mansion. Eventually new social patterns set in – and may bear new systemic corruptions. By revolution and innovation I am referring to any broad array of events causing social changes: from agricultural, urban, industrial, or electronic revolutions to American, French or Russian Revolutions. Besides the eventual development of systemic corruptions when social upheavals subside, the revolutionary and innovative events mentioned here lead us to exogenous sources of temptations. - The Industrial Revolution or the French Revolution did not remain within the confines of a country. The European revolutions of 1848 had much of their roots in the French Revolution. More pertinent to our essay here are the exogenous causes of temptations and corruption caused by globalization. Democracy combined with market economy imposed on a traditional society with strong ethics of honesty may in fact increase corruption. Seeing others have fun (watching western TV programs like “Dallas”) increases wants instead of satisfaction of needs in non-western cultures and breaks the inhibitions of crossing traditional social structures. To that we should add the exogenous attempts to corrupt. - An honest official may be tempted with bribes and corrupted by those who want to circumvent the established rules. Corruption was a tool of foreign policy long before it became a corporate tool. Corrupting the officials of another country is not a western invention. Long before western imperialism, powers around the world, whether in Persia or China, knew how to corrupt the local rulers and make them collect and pay tributes. Western imperialist powers refined that process, first corrupting the rulers of their colonial preys by indebting them, then taking over the administration of their economies, imposing capitulation treaties and finally taking full control. - In the last analysis corruption boils down to lack of scruples. It is due to lack of ethical standards within the individual and an environment that tolerates it. There is a school in the west which believes that democracy could make those in places of authority in the developing nation-states more accountable and less prone to corruption. The main thrust of this school of thought is inspired by the post-Cold War dominance of American market economy democracy. Looking closer at the evolution of western democracies we realize that they are concoctions of phenomena more complex than the choreography of elections and market economy and cannot be easily and meaningfully transplanted into other cultures. The idea of democracy in the western sense makes different values and interests compromise and accept the rule of law: rules of the game and legitimized authority. It is a novel idea for developing traditional cultures. Western-style popular democracy requires tolerance in abstraction. Its epitome would be: “I do not agree with you but I’ll fight to make sure that you have the liberty to say what you are saying”: the idea of freedom of thought, expression, and assembly. Western democracy permits the creation of multiple pyramids of power within the society. It has been an evolutionary process. From the feudal prince whose power eventually devolved to the king, the development of the bourgeoisie and nation-state, and on to business corporations, the unions, charitable foundations, militant NGO’s – and all interplaying with the church. These are components which make the distribution of power across the landscape possible. They imply a secular setting and civics. They serve as safety valves and satisfy the power-driven segments and individuals who cannot always climb the pyramids of governmental political authority. In non-western cultures the degrees and kinds of distribution of power vary. The ingredients are the same, they are all subject to socio-psychological dynamics, but their form, depending on the political and economic evolution of a culture, are different. Freedom of opinion, of expression and of assembly may not exist or they may take different shapes. Algerian, Tunisian, Turkish, Syrian or Iranian elections produce different regimes which have limited numbers of pyramids for power seekers to climb. In the simplistic proposition of conjugating democracy (as a method of legitimization of power into authority through popular elections) with market economy a number of basic features of democracy in terms of civil society are left by the wayside. As Dahl suggests, if the western public does not always overwhelmingly participate in the electoral process it is because it feels secure as long as the basic values of the civil society are not endangered. Foremost among them is the democratic tradition of value pluralism: the possibility of choice and change, but not to the detriment of future choice and change – as happened to the Germans when they voted for Hitler. What guarantees their freedom of thought, expression and assembly is the rule of law with the assumption that political authorities respect and implement it, including the very important provision of habeas corpus. But the rule of law and habeas corpus existed before democracy. The Magna Carta did not include universal suffrage. What it provided was checks and balances. The shires and burgesses checked the king. Indeed, checks and balances are also essential values of democracy, going hand in hand with the rule of law. But checks and balances can exist without democracy, as they did, for example, when church and state were watching each other. It is when there is collusion among the institutions which are supposed to check and balance each other and the rule of law fails, whether in a democracy or any other regime, that we have corruption. In many developing countries revolutions and nation-building did not take place as the consequence of the growth of a politically active and significant bourgeois class and intellectual dialectics. The development of nation-states in the non-western countries did, however, also have a more or less general pattern, with exceptions, of course. In many cases, it moved from kingly, feudal, tribal and religious patterns to military-dominant regimes. The reason was that the army was one of the first branches of control in the non-western cultures to be modernized. Most of the non-western countries which had received the impact of western colonial drive and the superiority of its fire power, once they got the chance, proceeded first to modernize their army – whether in late nineteenth century Japan and Ottoman empire, early twentieth century China and Iran, or later Egypt, Iraq, Syria, Pakistan, Indonesia, Burma, Thailand and others. As for Latin America, the role of the military as political power was well established as a tradition and became the major nation-building conduit since Bolivar. Inspired by the west, impatient with the old regime and having the instruments of coercive power at their disposal, many military officers spearheaded national movements: Ataturk, Reza Khan, Sukarno, Nasser, etc. In some cases, the new regimes evolved into pseudo-democracies watched by the military, with a new bureaucratic class and an emerging bourgeoisie. In cultures where the tribal patterns were lurking under the thin veneer of a broader national identity, “idealist-nationalist” leaders soon succumbed to the flattery and solicitations of their supporters and families who corrupted the regime and turned it into exploitive machinery. Not identifying with the country as a nation-state whose destiny they shared, they treated it as a domain under their control to milk while it lasted. But we must add here the significant role played by western democracies in this evolution. Indeed, in discussing democracy, corruption and globalization, we must recognize that we are dealt a marked deck of cards. It is rather hypocritical to lament corruption and lack of democratic values in non-western cultures today. During the Cold War the west was instrumental in eliminating burgeoning national bourgeois attempts which may have been more likely to develop national identity, national pride, and hence less corruption, probably developing eventually a middle class aspiring for democratic values. Legally installed and elected leaders such as Arbenz, Mossaddegh, Lumumba, Sukarno or Allende were overthrown in the name of defending freedom and combating communism. Looking closer at their cases, however, we find that their principal guilt was that they constituted threats to the interests of western global corporations. Western diplomacy, intelligence, and global corporations concocted Mobuto, Mohammad Reza Pahlavi, Suharto, Marcos, Bongo and the like in constitutional and electoral travesties. As Roosevelt put it in the case of Chiang Kai Check: “He is an s.o.b, but he is our s.o.b. !” Fingers often point at CIA and America as the culprits. But the European former colonial powers, their secret services and their well-implanted global corporations were also deeply involved in the process. The social and political factors of greed, temptation and collusion mentioned earlier were effectively used. The corruption of these regimes was quite convenient for the western diplomacy and economic penetration. Western global corporations could exploit the mines of Katanga, the oil of Iran and the forests of Borneo profitably and recuperate whatever was paid to those regimes by selling them arms to defend themselves against communism. The ruling classes pocketed commissions, kickbacks and presents, enriched themselves and their hangers-on, adulterated traditional structures and propagated the mirage of western opulence. Looking at it from a western perspective we must congratulate ourselves. Granted, the means were not altogether honorable, but the end was winning the Cold War and the west won. Overthrowing elected officials and replacing them with corrupt regimes was a necessary evil. Unfortunately it has left us with a contorted global situation to deal with. The end of the Cold War discombobulated the process. Many of the voices in the west which had moderated their critical tone during the Cold War because, despite all its flaws, they preferred pluralist democracy rather than the totalitarian Soviet style regime, began raising their pitch against the flaws. Many NGOs and the media leveled their spotlights at corrupt regimes – at some of them (those which had become embarrassing and for which western powers had no use). Global corporations also became weary of dealing with some corrupt authoritarian regimes which used their coercive powers to maintain themselves rather than providing security for western corporate interests. And in handing out concessions and exploitation opportunities the corrupt regimes pitched western corporations against one another for commissions, kickbacks and bribes to the point of extortion. In this last instance American corporations found themselves at a disadvantage in comparison with Europeans. European global corporations which had lost grounds to American corporations in the anti-colonial and Cold War period, now that both of those syndromes were disappearing, had their former cultural ties and diplomatic know-how to draw on. American corporations were also handicapped by a more vocal and self-righteous public opinion at home clamoring for exporting the “American way of life”. Thus America had a stake in rooting for anti-corruption and democracy. In the global setting, multinational corporations seek cheap labor. A democratic system in a developing country may decide to improve labor conditions by taxing corporations and providing for unemployment insurance and social security. It could permit labor unions to form and increase the cost of labor for the corporations. Corporations would not like that. With the ever greater awareness of the western public about the consequences of globalization, the corporations’ “national” labor unions and humanitarian NGO’s push them to provide better conditions for labor in the developing countries. Corporations don’t like that either. But because of the democratic conditions in their own western cultures, corporations have to put up with that trend. From a global capitalist point of view, this pressure by unions and humanitarian NGO’s in the developed market economies to improve the conditions of labor in developing countries seems to be more palatable to western global corporations than national democratic governments in the developing countries imposing taxes and erecting labor laws. Corporations seem to tolerate corruption and kidnappings as long as the governments of the developing countries remain dependent enough not to impose taxes and labor laws on global corporations. But corporations do want the governments of developing countries to maintain order and secure their interests! Needless to say, the power of global corporations impacts developing economies, even those democratically inclined and with the best of intentions. It is more likely that with incentive from global corporations, an emerging market would make the economy efficient for the market mechanism. That may not necessarily provide for the well being of all the constituents of the country. Thus, for example, a part of the country which has desirable natural resources gets roads, water, electricity and schools (to create an educated workforce) for the global interests that want to exploit those natural resources. The rest of the country may remain underdeveloped. The disadvantaged population may move towards the prosperous area and create unemployment, cheap labor and slums with all their social problems. If the national government taxed the global capital and distributed the benefits nationwide, the global capital would lose interest and move to greener pastures. These scenarios are recurrent, and numerous cases can be cited as illustration. They have become assumed patterns of conduct of corporations and regimes due to certain narrow understandings – or rather misunderstandings – of the classical concepts of globalization. In classical political economy, globalization did have a rational premise as formulated early on by David Ricardo about the international division of labor. But that was before the virulent spread of nationalism across the western cultures. The industrial revolution and the rise of the bourgeoisie developed nation-states which raised protectionist barriers. Corporations, even as they expanded beyond national frontiers, identified, first and foremost, with their nation. Before that, when workers and corporations were confounded, the worker moved across frontiers. The farmer stayed, the worker moved. The limitation of workers’ movement was caused by a combination of bourgeois capitalism and the pre-eminence of the nation-state protecting the national industry and its market. And, importantly, the fact that many farmers joined, and in many cases overwhelmed the ranks of the workers. The recent global identity of global corporations is the consequence of change in the means of production due to the electronic revolution which has made nation-states’ frontiers obsolete. But while corporations have burst out of the nation-state cocoon, the inculcation of nationalism during the bourgeois industrial revolution is still hanging over the working class. It is that in that process, with the massive inflow of country folks into the work force, the workers lost much of their medieval identification with the corporation. It was mainly through the conversion of tribal identity into national identity that the bourgeoisie imbued the workers with nationalism. The assumption that globalization is a market economy phenomenon misses the point that in recent times the global idea was first developed in the context of international socialism. Globalization, to a large extent, is a Marxist-Leninist idea: “Working men of the world unite”, “Imperialism, the higher state of capitalism”. Marx’s idea of globalization at the workers’ level missed the socio-psychological tribo-national conditioning of the workers mentioned above. Lenin did recognize it, lamented it and prepared the grounds for Soviet totalitarianism. The workers, at least in the smokestack industrial sense, were bound by and to their narrow interests for jobs and livelihood. In western democracies they unionized and used their votes to make their governments tax corporations and provide for workers’ security. With globalization that process has evolved. Nation-state governments compete to dismantle social programs and reduce taxes to attract global corporations and capital investment. Somehow, global capitalism’s versatility to move capital, raw material and products, and use labor and management beyond nation-state frontiers and adapt to different cultural, political and legal systems has obscured the other potentials of globalization. Globalization does not need to be confined to capitalism. It can be capitalist, or socialist; private, or public. It can also be, and most probably should be, mixed. The problem is that the other aspects of social organization have been handicapped in adapting to the global dimension. Global socialism suffered from the fact that its standard bearer was the Soviet Union which aberrated it into a totalitarian regime and opposed social democracy. As for transferring globally what in social democracy was the public sector’s power to regulate the economy, combat abuses and corruption and provide social security, we lack authoritative global institutions with the means of enforcement and clear blueprints for institution-building. Which leads us to the problem of developing global ethical and legal norms. At the national level in the west, the “moral” norms of tribal and communal life were, willy-nilly and over long periods of inculcation, transformed into ethical norms of civil society: One would not steal from one’s national public funds just as one would not do so from one’s own clan. How can a civic responsibility be inculcated on global scale where, as we saw, corruption does not always have a negative social stigma? Corruption cannot be simply eradicated by conventions and installation of democratic procedures and institutions. Our sketch, as one may easily observe, leaves plenty of room for networking across the lines for corruption of democratic processes. The question to be pondered further beyond this essay is whether a pattern can be extracted out of this maze for global ethical and legal norms which would bring greater happiness and better control of their destinies to the greatest number of human beings? For ethical norms, is religion a possibility? After all, 99% of human beings believe in something. But which religion? Islam is presently on the ascendance and could inculcate honesty – the hand of the thief will be cut. The god-fearing Moslem will wait for the houris in paradise. But what about democracy? Freedom of thought, expression and assembly will be tolerated only in praise of Allah. Apostasy will be punished by death. Human rights will be subordinated to divine rights interpreted by the mullahs. But today some of the major corruptions take place in Islamic countries. It is true that those Moslems who engage in corruption are not good Moslems. The good Moslem should engage in Jihad. A good Moslem should be a martyr, which would imply that a good Moslem is a dead Moslem! As for Christianity, the Mafioso are known to be devout Catholics. They have it even better. They just confess! That may not be the best incentive for inculcating ethical norms into the world population. A secular way should be found for ethical behavior. For starters, how about teaching civics in schools again? And not in the context of national constitution but as a universal human rights concept. So many questions yet to be answered! This paper was prepared for the Research Committee on Political Power, RC 36, of the International Political Science Association, Helsinki, Finland, August, 2001. NY Times, June 5, 2001. Time Magazine, Feb. 7, 2000, pp 38-54. I am using “he” “his” “him” in generic terms covering both the male and female genders of the species. See, for example, Lee Kuan Yeu, 2000, Chapter 12, for an interesting discussion of the different aspects of corruption. Also, see the Commentaries on the OECD Convention, and Cheryl W. Gray and Daniel Kaufmann. Geroe, p. 1040 and OECD Commentaries point 9. Dahl, 2000; Berlin, 1969; Galstone, 1999. Barnes, Samuel H., "The Contribution of Democracy to Rebuilding Postconflict Societies" in The American Journal of International Law,Vol. 95, No. 1, 2001, pp. 86-101. Berlin, Isaiah, Four Essays of Liberty, Oxford, Oxford University Press, 1969. Colazingari, Silvia & Susan Rose-Ackerman, "Corruption in Paternalistic Democracy: Lessons from Italy for Latin America", in Political Science Quarterly, Vol. 113, No. 3, 1998, pp. 447-470. Dahl, Robert A., "A Democratic Paradox?" Political Science Quarterly, Vol. 115, No. 1, 2000, pp. 35-40. Deming, Stuart H., "Foreign Corrupt Practices", The International Lawyer, Vol. 34, No. 2, 2000, pp.675-681. Fry, John, The Helsinki Process: Negotiating Security and Cooperation in Europe,Washington, National Defense University Press, 1993. Galstone, William A,. "Value Pluralism and Liberal Political Theory", in American Political Science Review, Vol. 93, No. 4, 1999, pp.769-778. Geroe, Michael R., "Complying with U.S. Antibribery Laws", in The International Lawyer, Vol. 31, No. 4, 1997, pp. 1037-1046. Gray W. Cheryl & Daniel Kaufmann, "Corruption and Development", in Finance & Development, IMF quarterly, March 1998. Khoshkish A., Power or Authority: The Entelechy of Power, Lantham, American University Press, 1991. “ “ Socio-Political Complex: An Interdisciplinary Approach to Political Life Oxford, Pergammon, 1979. Lee Kuan Yew, From Third World to First: The Singapore Story: 1965-2000, New York, Harper-Collins, 2000. OECD, Convention on Combating Bribery of Foreign Public Officials in International Business Transactions, OECD, 21 November 1997, DAFFE/IME/BR(97)20 and Commentaries. Sandholtz, Wayne, & William Koetzle, "Accounting for Corruption: Economic Structure, Democracy, and Trade", in International Studies Quarterly, Vol. 44, No. 1, 2000, pp. 31-50. Shamsul Haque M., "The Paradox of Bureaucratic Accountability in Developing Nations Under a Promarket State", in International Political Science Review, Vol. 19, No. 4, 1998, pp. 357-372. Sohmen, Helmut, "Critical Importance of Controlling Corruption", in The International Lawyer, Vol. 33, No. 4, 1999, pp. 863-873. 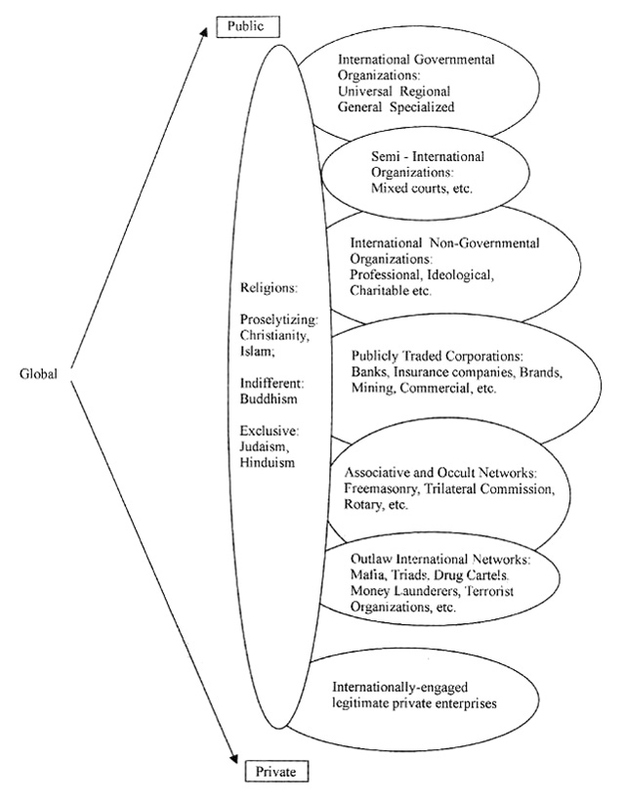 Streeten, Paul, "Integration, Interdependence and Globalization", in Finance and Development, IMF quarterly, June 2001. Thurow, Lester C., The Future of Capitalism: How Today’s Economic Forces Shape Tomorrow’s World, New York, William Morrow & Co., 1996.